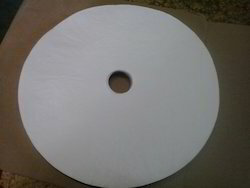 We are a premier manufacturer, supplier and exporter of Filter Paper. These Filter Paper is made available to our clients in various sizes and specifications. These goods are frequently checked to satisfy wet strength, porosity. 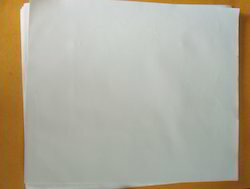 We are offering Filter Paper PP for Electroplating purpose. It is purely made from cotton cellulose. PP Filter paper is available in size 300 mm OD X 50 mm ID, its thickness is 0.2mm. We are among the prominent manufacturers, exporters and suppliers of Filter Paper for Transformer oil filteration in the industry. 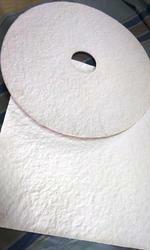 These pads are also extensively utilized for filtering gripe water and ink. Characterized by high tearing strength, these pads are highly appreciated by the customers. Our clients can avail from us these Filter Pads in various sizes & shapes. Looking for Filter Paper ?